I didn't recognize her... I guess I've never seen a female cardinal from quite this angle! I suppose the head tuft gives her away, Mary, but I didn't know it was a cardinal either. But I DID immediately know it was a bird on a wire. i like both the shots but the effect in the first shot is stronger! I like the b&w and old Leonard. Not a bird I'm familiar with but it is very pretty. Wonderful cardinal shots, Mary. Wonder if she is waiting for her mate to return. The perfect Leonard Cohen song to accompany these images. That certainly had me guessing! 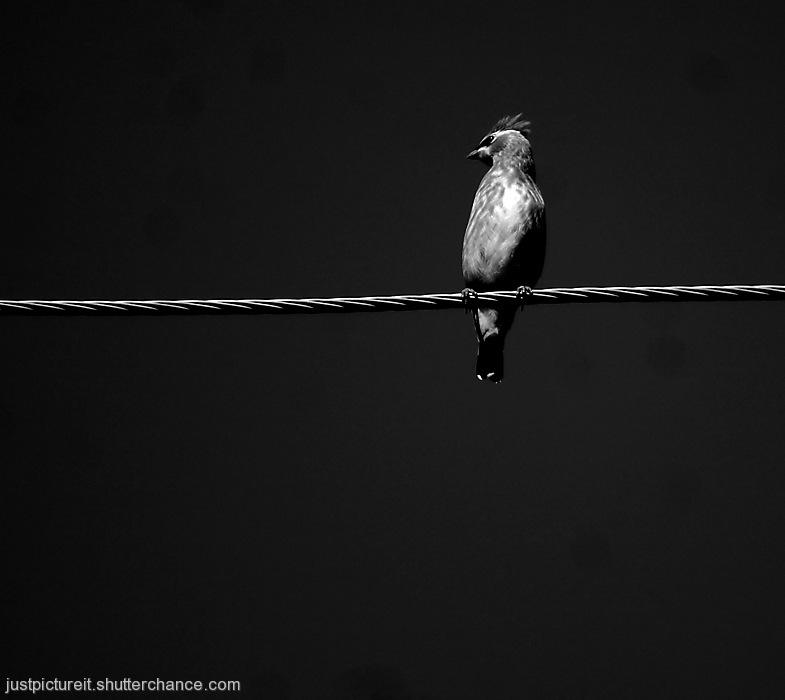 an impressive photo, you captured the wire in a wonderfully sharp way. I’m trying the work out the size bases on the wire; I’m guessing around 15cm?